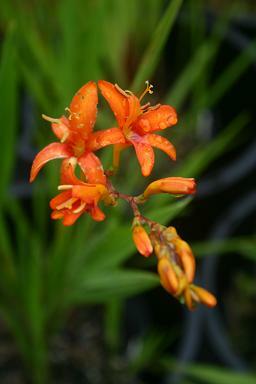 A selected form of C.masoniorum that I bought in the early 1980's when I started collecting Crocosmia. It has been sitting around in the garden since then, but I have forgotten where I got it from. It was special at the time, but it is not really outstanding now.